Gund 2015 Annual Amazon Teddy Bear Plush Was $25 Now Just $18.47! You are here: Home / Great Deals / Amazon Deals / Gund 2015 Annual Amazon Teddy Bear Plush Was $25 Now Just $18.47! Perfect for baby’s first Christmas or any kid who loves a teddy bear! Head over to Amazon and order the Gund 2015 Annual Amazon Teddy Bear Plush Was $25 Now Just $18.47! Shipping is FREE on orders of $35+ or if you have Prime! Don’t have Prime? Try a 30 day FREE trial! 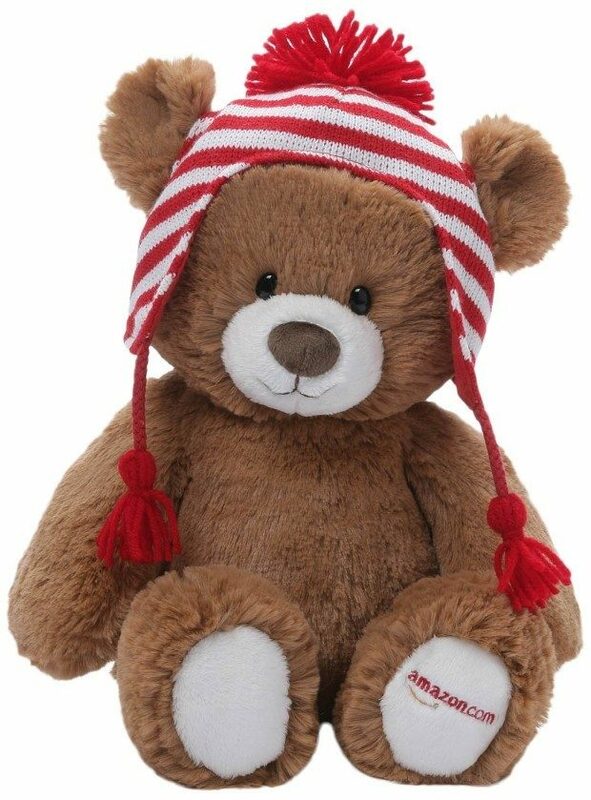 Gund has produced lovable, plush toys for children of all ages since 1898. This year’s Amazon exclusive bear is all decked out with a festive striped hat with a fluffy pom pom and an endearing, adorable face. This bear is the latest in the Gund Amazon Holiday Teddy Bears. Start you collection this year or add to your existing collection. This teddy is uber cuddly. Enjoy!